Friday night’s game involved two teams that play in the Orange Empire Conference (OEC). The OEC has seven teams – six from Orange County and one from Riverside. Coming in, Santa Ana had an overall record of 5-15, and a 0-6 in conference. Saddleback was 15-4 overall, and 4-2 in conference. Saddleback led from the onset with first half leads of as big as nine points. In the second half, Saddleback opened up a 21-point lead before Santa Ana hit some treys late in the game, to make it a 12-point win at the finish. 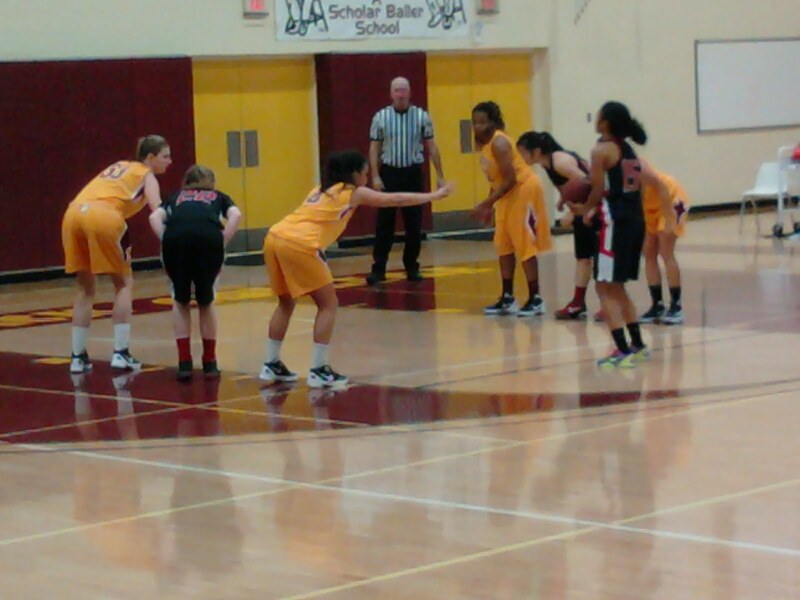 Leading scorers for Santa Ana were Janelle Flores with 24 points and Berlin Ohanesian with 18. Saddleback was lead by Raven Gammage with 21 points and Shalae Edwards with 19 points. Edwards comes from Colleton County High School in South Carolina, where she she lettered in basketball for four straight years before graduating in 2010. While at CCHS, Edwards was a three-time all state selection and a two-time player of the year. 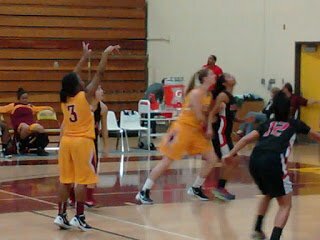 One girl who didn’t score a lot of points last night, but impressed me with her hustle, rebounding and passes to help her teammates was Shala Kirkpatrick, a freshman from El Camino HS in Oceanside. In conference play Kirkpatrick averages 9.3 ppg and 10 rpg. #15 for Santa Ana, Berlin Ohanesian at the free throw line. She scored 18 points on the night.